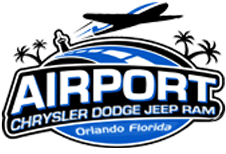 Airport Chrysler Dodge Jeep eagerly awaits the opportunity to introduce you to the stylish Jeep Wrangler Unlimited vehicle that will complement your new car search requirements. Visit our conveniently located Orlando, Florida dealership to browse our inventory in person, or take advantage of our secure website to get your Wrangler Unlimited search started right now! Contact us when you're ready to schedule an invigorating test drive, our friendly team of Jeep professionals looks forward to sliding into a Wrangler Unlimited as much as you do! So don't hesitate to contact our team members today! We'll get you set up for a thrilling test drive so that you can get a hands-on experience of all the Jeep Wrangler Unlimited offers! Your new Jeep utilizes both active and passive safety systems to help you arrive at your destinations, and the high-strength steel that has been integrated into the B-pillar of the Unlimited provides you and your family with an added layer of protection. Electronic Stability Control helps you keep your Jeep safely on the road, while the four-wheel disc Antilock Brake System caters to your braking needs. The Trailer Sway Control feature works to keep your cargo safely under control and in the rare event of an accident, the strategically placed airbags help reduce the severity of any potential injuries. Learn all about the standard and available systems of the Jeep Wrangler Unlimited trim you are interested in, visit our new and used Jeep dealership in Orlando, Florida today! The Jeep Wrangler Unlimited blends sophistication with durability and style with practicality. From the premium heated front seats to the steering wheel-mounted controls and 115-volt power outlets to the lockable center console, Uconnect® systems, and available remote vehicle start, your Jeep is sure to not only meet but exceed expectations. View the soft top or body-color hardtop options today, head over to Airport Chrysler Dodge Jeep today! From its powerful performance specifications to its active safety features and visually-appealing design, the Jeep Wrangler Unlimited is a competitively priced option that on and off-roading enthusiasts shouldn't miss. 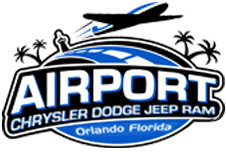 Visit Airport Chrysler Dodge Jeep in Orlando, Florida to find yours now.